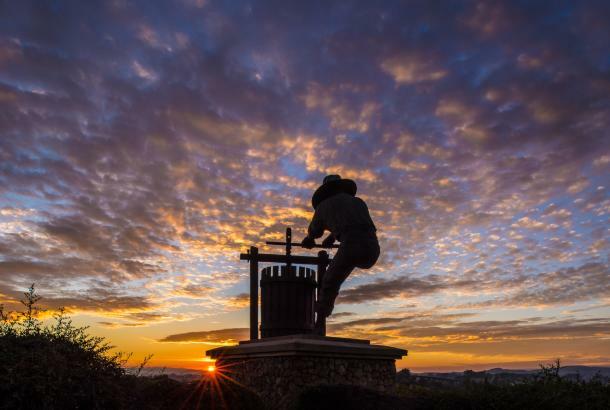 In the spirit of health and wellness, Visit Napa Valley encourages visitors to fully experience each town in the Napa Valley, one step at a time. 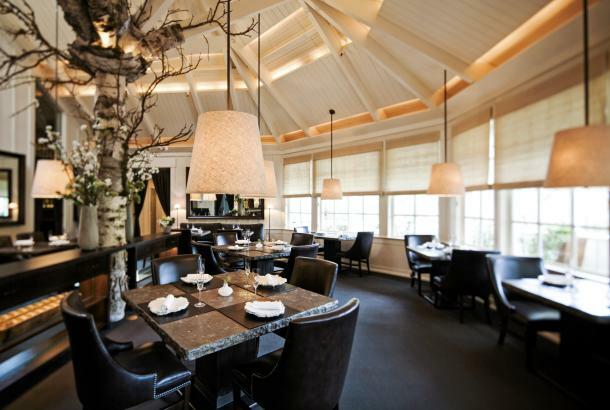 The culinary heart of Napa Valley, the Town of Yountville, is the ultimate wine country getaway. 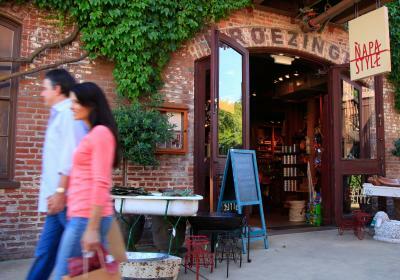 In Yountville, it is all about passeggiata – the art of the stroll. 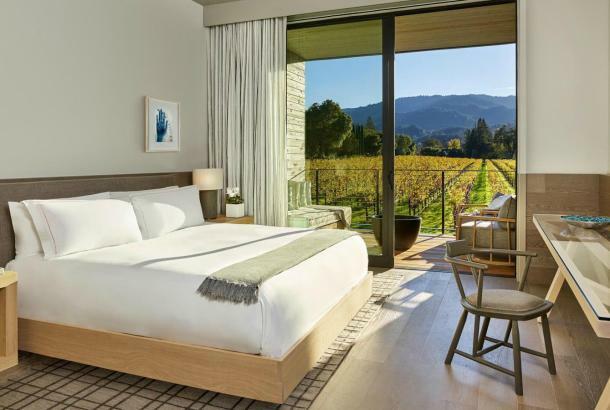 Michelin-starred restaurants, boutique shopping, world-class art, as well as what Napa Sonoma Magazine deems the ‘best up-valley golf course,’ are all within walking distance. 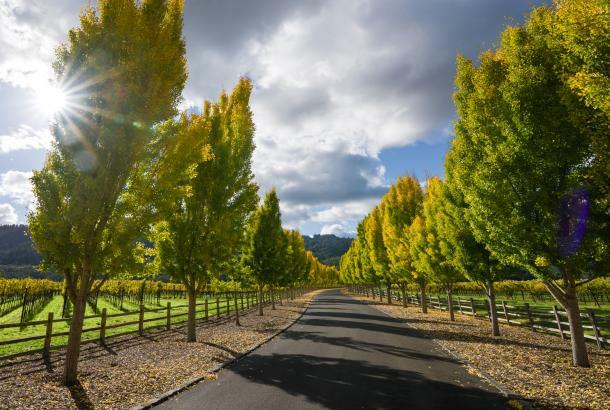 Add friendly, small-town culture, and you will see how Yountville elevates a simple stroll to a place of discovery and fulfillment of 10,000 steps, or five miles, each day. 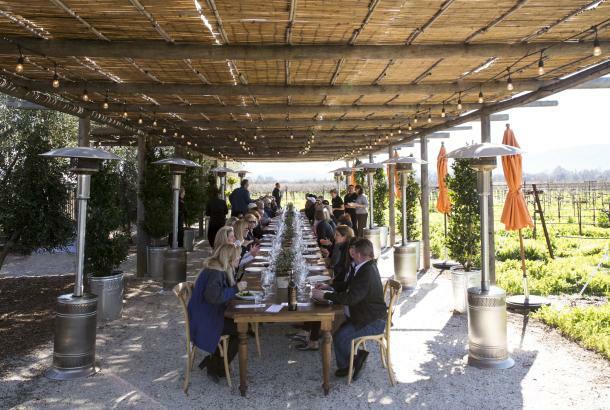 Below are three distinctly different, yet equally fun and energetic days of passeggiata in Napa Valley’s Town of Yountville. The Vintners Golf Club, one of the valley’s best-kept secrets, is located on the grounds of the historic Veterans Home of California. This jewel of a course features nine challenging holes, several with water features, complete with beautiful vineyard and mountain views. Morning golfers are often rewarded with hot air balloons leisurely drifting overhead on their way down valley, and a round during afternoon twilight offers stunning sunsets that reflect off the Stag’s Leap appellation along the Vaca Mountain range to the east. Vintner’s Golf Club features a pro shop with friendly staff and The Lakeside Grill, an on-site restaurant with an impressive selection of beers, cocktails and, of course, Napa Valley wines. A round of nine holes on this course clocks in approximately 4220 steps, or two miles. Playing a full 18 holes adds up to more than 8440 steps, or approximately four miles. After an invigorating round, reward your appetite and stroll downtown for lunch or dinner, with more than a dozen restaurants to choose from, ranging from casual fare to three-star Michelin cuisine and everything in between. Take some time to explore the French Laundry Gardens along the way, where visitors are welcome to stroll among the fresh produce that supplies celebrated Chef Thomas Keller’s five Yountville restaurants and bakery. By walking through the gardens, and to any of the many restaurants nearby, reaching the goal of 10,000 steps will be achieved. From your hotel, walk to either Bouchon Bakery or Mini Model Bakery and grab a cup of coffee and a tasty breakfast sandwich or pastry before heading over to the Yountville Visitor Center to pick up two useful maps. The Yountville Wine Walk and Yountville Art Walk closely follow the same path along the town’s main streets, offering the opportunity to taste wines produced by 19 of some of the finest vintners in the world, all while enjoying the more than 30 sculptures, artwork and seemingly endless restaurants along the way. From one end of town to the other and back is a journey of approximately 4220 steps, or two miles. A visit down Yountville Crossroad with a walk among the vineyards and wineries, including Goosecross Cellars, Kapscandy Family Winery and Cliff Lede Vineyards, will increase your steps. After sipping wine and drinking in the arts, head to the town’s immaculate bocce courts at Veterans Memorial Park for a rousing game with friends, then finish off your day with a visit to the hotel gym and get in some cardio on the treadmill to complete your 10,000 steps. 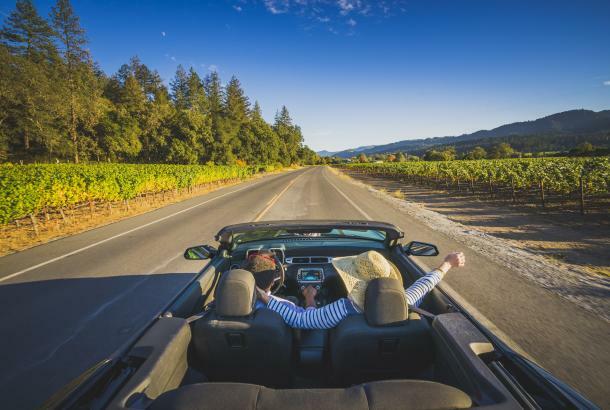 After a relaxing spa treatment or dip in the pool, the Napa Valley Vine Trail beckons, offering several miles of pathways through town. Head south towards the Town of Napa, passing vineyards blanketing the valley floor, with the Mayacama Mountains in the west, and stop by any, or all, of the several winery tasting rooms along the way, including Domaine Chandon, Ideology Cellars, and Laird Family Estate. On the way back, check out the historic Veterans Home of California, where both the Napa Valley Museum Yountville –Yountville and the Napa Valley Performing Arts Center are located. From Yountville down to Laird Family Estate, with a stop at the Napa Valley Museum, the goal of 10,000 steps will easily be reached. The Napa Valley Welcome Center, located at 600 Main St. along the riverfront in downtown Napa, provides visitors with expert Concierge services from Napa Valley Ambassadors who offer complimentary Napa Valley Guidebooks, maps, brochures and winery tasting passes. The Welcome Center, open daily 9 a.m. – 5 p.m., also offers complimentary Wi-Fi and a mercantile shop featuring locally sourced gift items.